Energy companies in the US, Europe and Australasia are rushing to install new smarter metering that they say will allow customers greater information on their energy usage, ultimately giving them control over that usage and their energy costs. In the same way we have gas meters, smart meters measure electricity usage with real-time or near real-time sensors. What makes it ‘smart’ is that this data is automatically transmitted to your electricity provider over a cellphone network. As a consumer we can then go online to look at our household energy use. 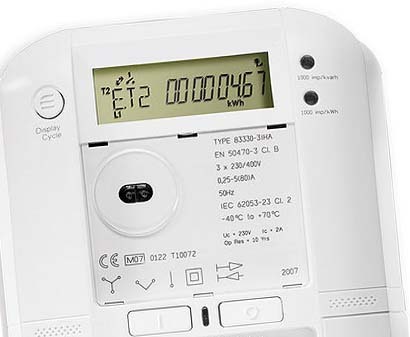 Click Suite's ideas on the smart meter user experience. Byron Reeves, a professor at Stanford University has proposed combining a multiplayer online game and consumer smart meters. In this hypothetical game, your energy consumption in the real world would be linked to the game world. The more energy you save, the more points you get. Chances are that, if you don’t have one already, you’ll have a smart meter on your home within the next couple of years. Meantime the industry is slowly but surely moving into the online space to position themselves for the smart meter revolution. The beginning is a transactional online space for customers (similar to online banking). You can update your details, browse your current and previous bills and look at pretty graphs showing your usage history. I’m not a Meridian customer (yet) but I took a sneak look at their My Meridian (for customers). The design is fresh and looks like it might be fun to use. But strip away the funky header and footer and what you’re left with is a fairly predictable web application. Pictured: My Meridian. Colourful, but not revolutionary. While market leaders need to play catch-up with Meridian I think these energy companies need to do more for customers than create a colourful website. Electricity enables a lifestyle and touches almost everything we do in modern society, from cooking to entertainment to the workplace. The potential to reach out to consumers beyond the actual product itself (electricity) has not yet been realised. In my experience, Meridian – while considered by many as the coolest kid on the block – needs to learn about ‘Service Design‘. This is the design of the end-to-end customer experience from setting expectations, to recruitment, to acquisition and building customer loyalty. However, two weeks later I haven’t had a call-back from Meridian (if this is a sign of their customer service then I’m having second thoughts). While Contact has recently undergone a lot of criticism from various quarters and is one of the most expensive electricity providers, when it comes to customer service they are the unsung heroes. On the phone you can usually get through to a friendly human within minutes, they listen and are proactive to help resolve any issues. Perhaps Meridian and Contact should get together – Meridian for a smart website and Contact for a smart customer experience – it’ll be electric! Powershop is a new service which allows customers to buy electricity online from a range of power suppliers. 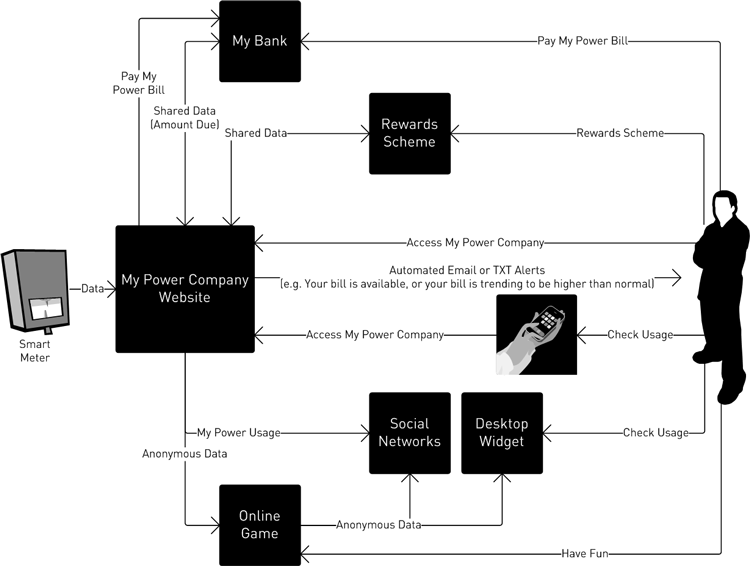 Consumers can buy power in advance and lock in prices, pay as they go or pay in arrears. But despite weeks of intensive advertising by Powershop the NZ Herald says that “Public response to online energy retailer Powershop since its launch four weeks ago has been slow off the mark, with just over 400 people signing up to their services”. I shudder to think of their ‘cost per aquisition’ and I think they have a problem. They have a good looking and usable website, but as a potential customer their unique offering is unfamiliar and therein lies the problem. Stuff investigates the issues here. Their original plan was to put electricity onto supermarket shelves – selling tokens and top-up packs in stores – and the website attempts to imitate this model by offering a range of products, with unit prices, packages and special offers. As a customer I think I’d be confused as to which product to choose. It’s not like the electricty itself comes in different colours, sizes or personalities – just make sure my heater works when I plug it in! I asked Powershop if their system will give customers the best deal possible at all times. They replied: “You can select ‘buy the cheapest’ for auto-purchase- this will buy the cheapest everyday product, but ‘specials’ are excluded”. So they’re on the right track. My conclusion is that Powershop is the most innovative thing happening for electricity consumers in New Zealand right now, but they need to rethink HOW they sell their products so customers are stepping into a familiar shopping environment (e.g. for mobile phones everyone understands ‘Pre-Pay’, then you can have add-ons such as ‘TXT a Mate’ for a fixed monthly fee). Perhaps Powershop will reach it’s potential when smart meters are ubiquitous and they can select the best rate for my household based on my actual usage habits and preferences (e.g. “only sell me electricity from wind power”). I look forward to that time. DISCLAIMER: The author is currently a Contact Energy customer. 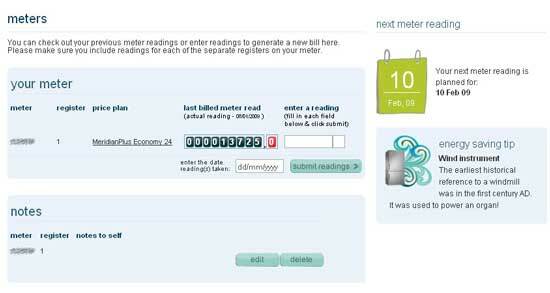 SMART METER IMAGE: Wikimedia Commons. Hey Zef – nice post. Ari Sargent here, head of Powershop. A couple of comments to update your observations. Acqusition rates: we acknowledge we need to work to get these up. But we are more than satisfied with progress to date. Electricity customers are hard to motivate to change, and we have the added hurdles of being an unkown brand with an innovative (ie. unfamiliar) offering. The shopping environment: not unrelated to acquisition rates, as you have correctly observed, is the clarity around what Powershop offers customers and how little effort is required. We too have identified this and have work underway to clarify our offer and sell the multitude of benefits and flexibility in packages that suit different customer types. Smart meters: these are not essential to Powershop’s offering, but it does supercharge it – we too await the day when these are ubiquitous. We are sorry to hear of your recent experience when using our online call-back form. I’m unsure what happened in this case, but we would certainly like the chance to get you on board! It would be great to be able to talk through our great offers with you. Please feel free to email me personally (address supplied) with your details and I will arrange for someone to contact you back. 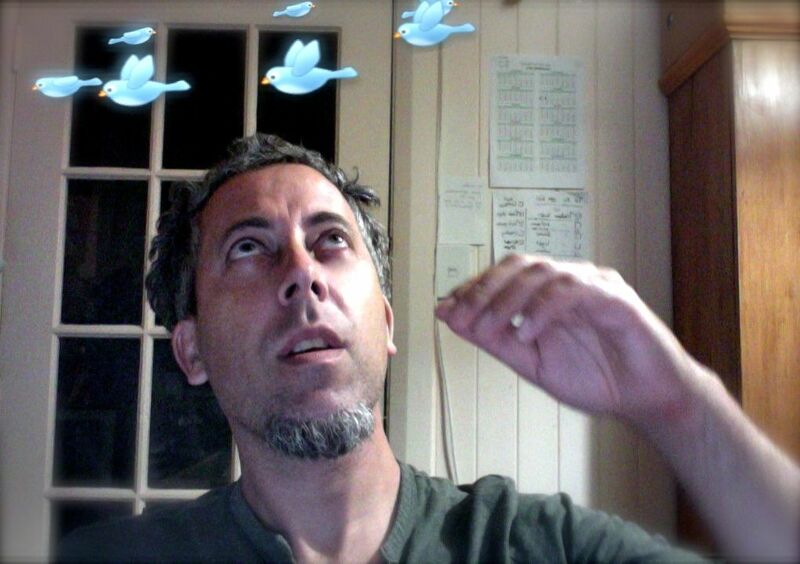 Previous post Ze Frank: Hot or Not?